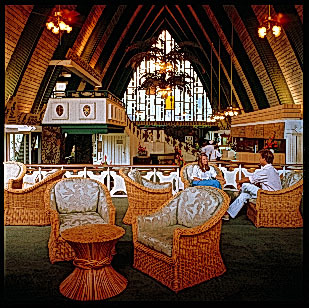 Above: Elvis checking in to the Coco Palms; Below: the resort today. 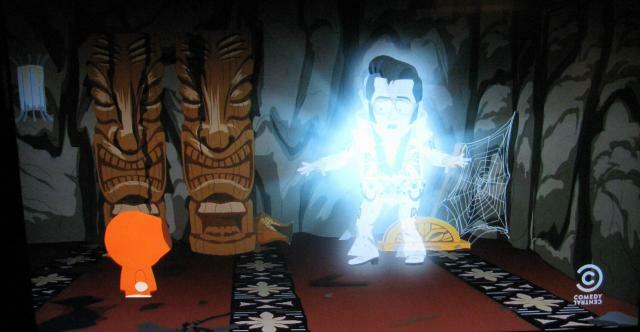 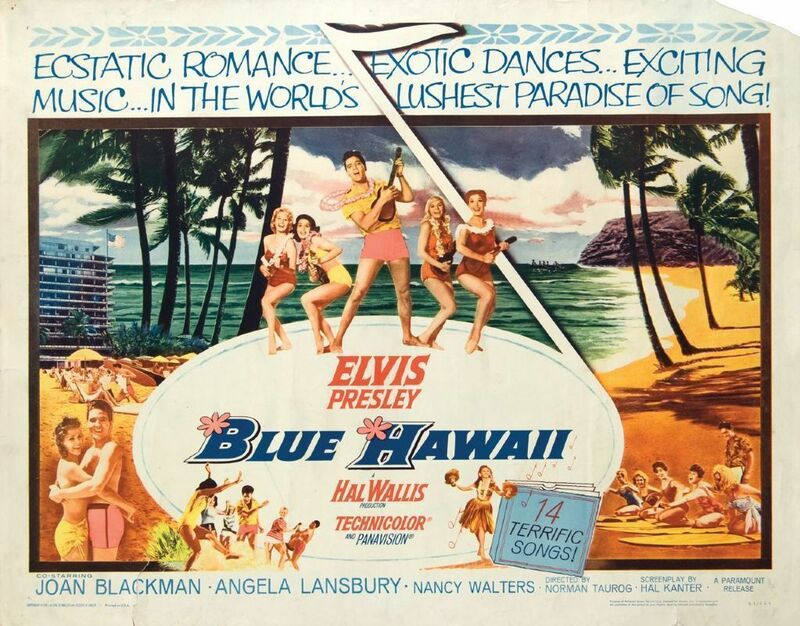 Paramount pictures scouted the Coco Palms to host the on-screen wedding of Elvis Presley and his co-star Joan Blackman for Blue Hawaii, which hit cinema screens in 1961, becoming an instant classic, along with the soundtrack which featured Elvis’s hit song, “Can’t Help Falling in Love”. 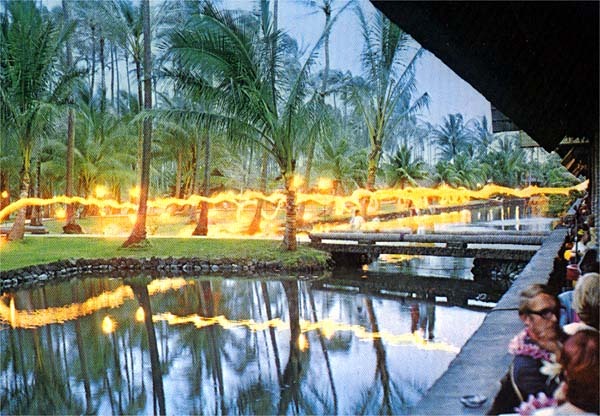 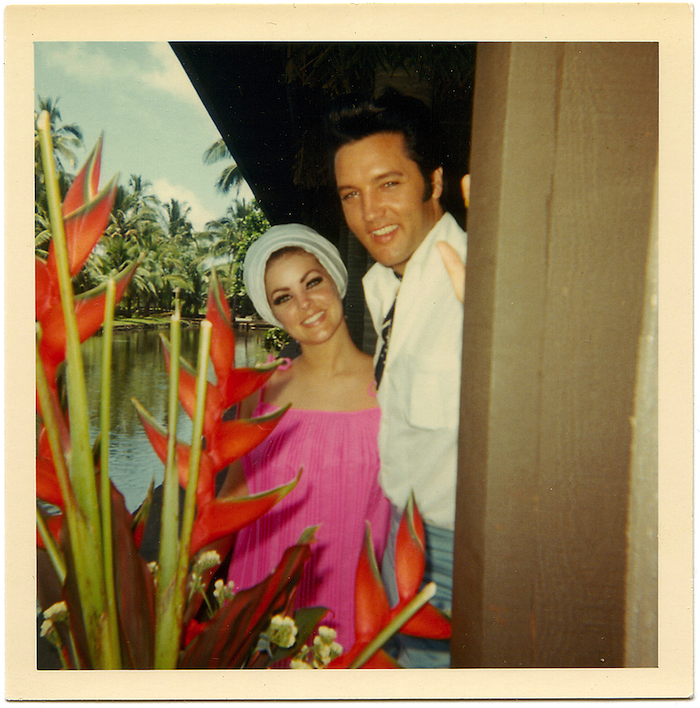 Most of the last 20 minutes of the movie was shot on and near the grounds of the Coco Palms resort, where Elvis himself stayed during filming in cottage number 56, which still stands on the property today. 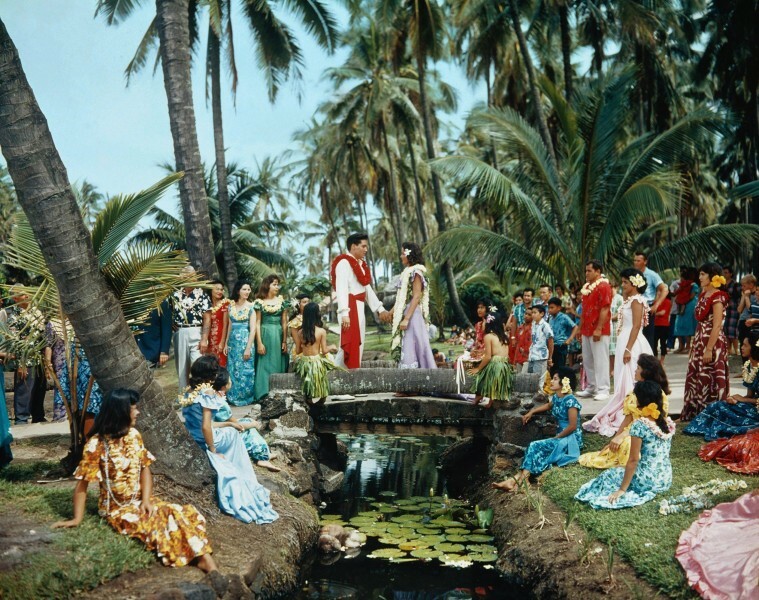 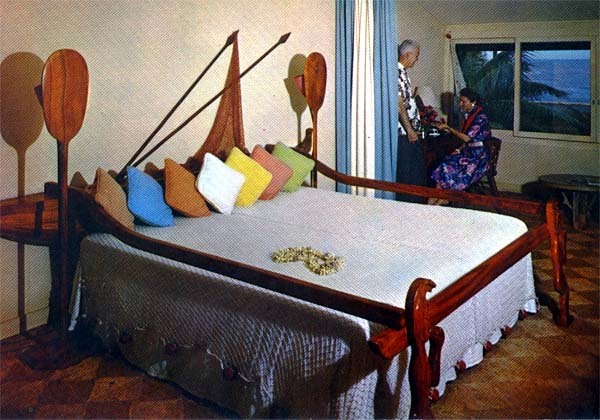 After the runaway success of the film, the hotel became the go-to vacation destination for couples, either to tie the knot, floating down the resort’s iconic lagoon and recreating the famous finale of Blue Hawaii, or for honeymooners seeking a piece of Presley’s paradise. 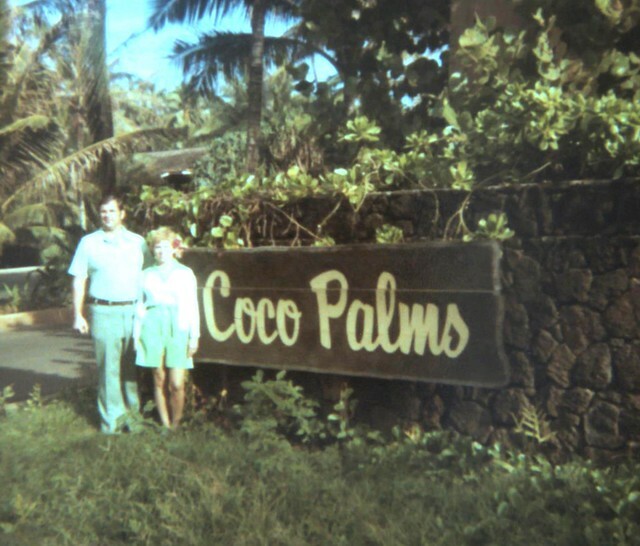 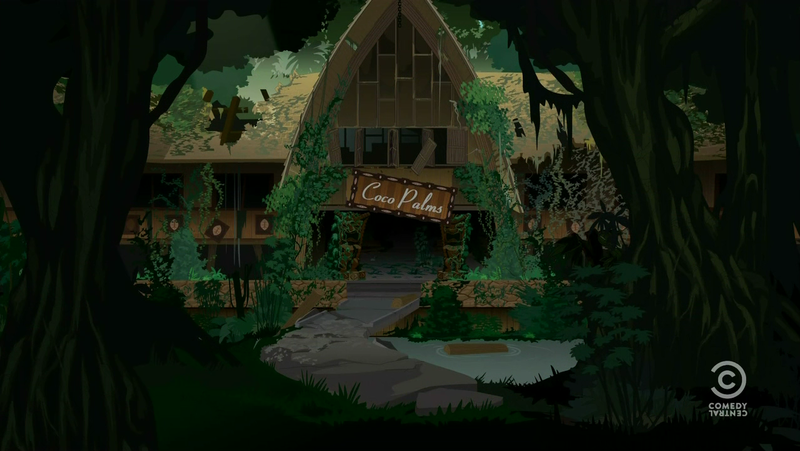 For decades, the luxury resort benefited from the film’s success, and right up until its closure, the Coco Palms was the location for a whopping 500 weddings a year on average. 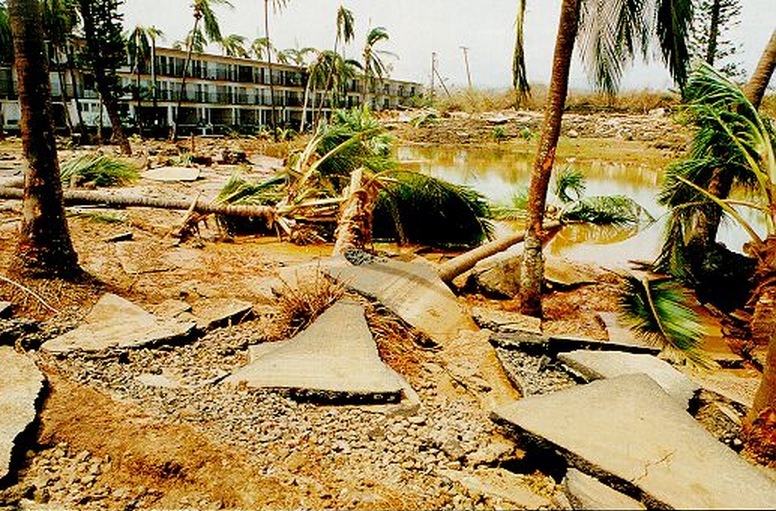 In 1992, hurricane Iniki hit the island. 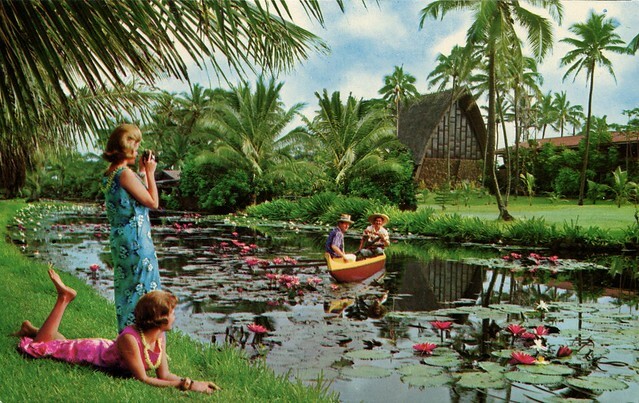 Nearly 9,000 homes were either completely destroyed or all but flattened. 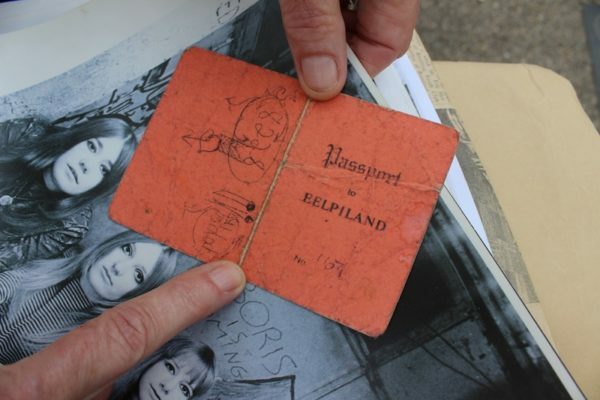 The damages amounted to the equivalent to $3 billion in modern day currency. 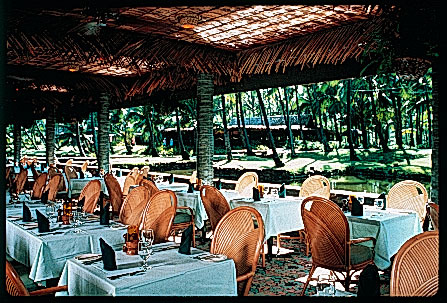 The Coco Palms resort had been no exception to the storm’s wrath and the repairs needed were monumental. 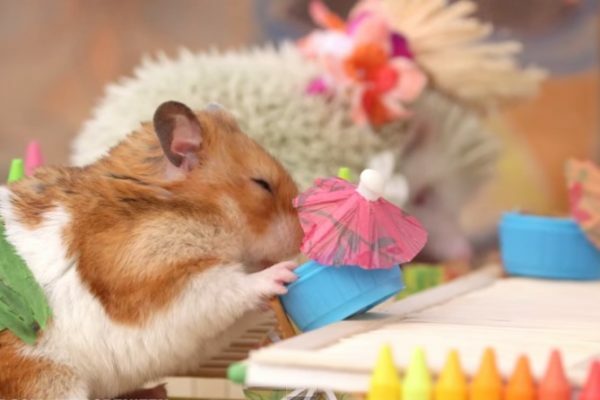 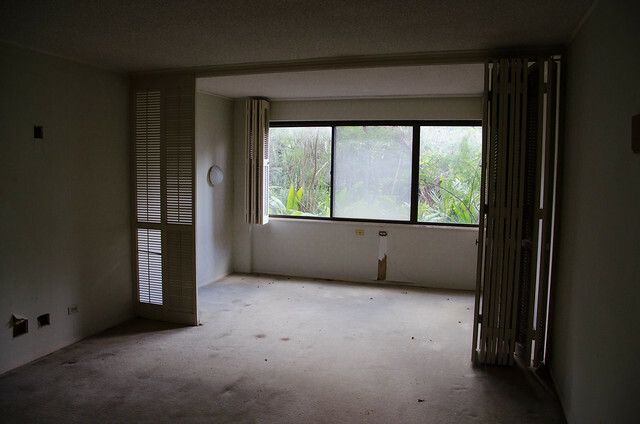 Countless insurance companies went bankrupt in the aftermath of the storm which sent the island into recession. 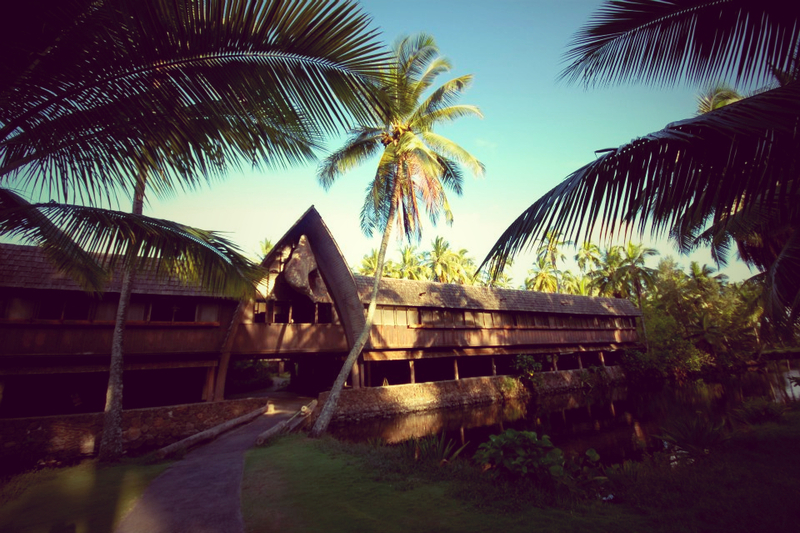 While Coco Palms and other hotels battled in court for their much-needed repair costs, the resort remained in tatters. 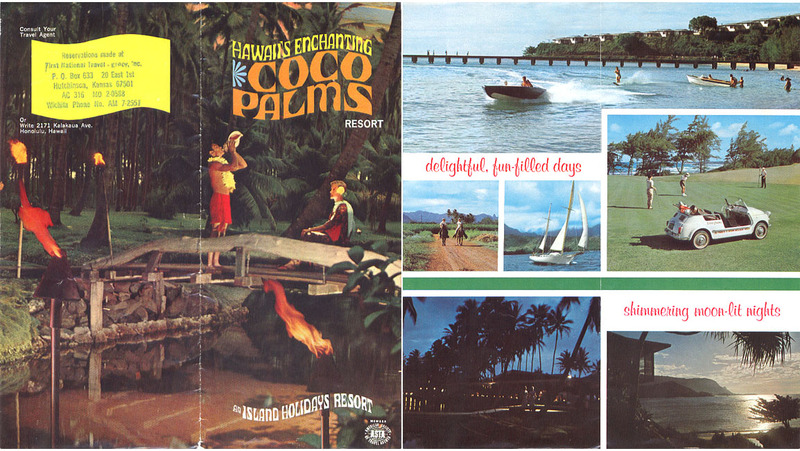 Over the next twenty years, the Coco Palms would become an entirely different place from the paradise resort pictured in the postcards and brochures of its heyday. 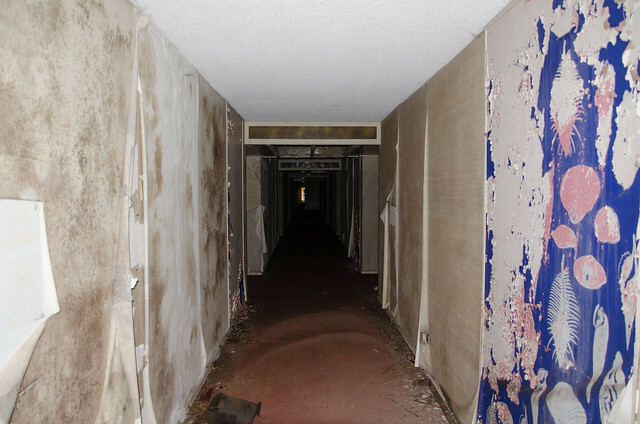 Tour groups visited for all the wrong reasons, curious to see the eerily decaying 1950s landmark in ruins. 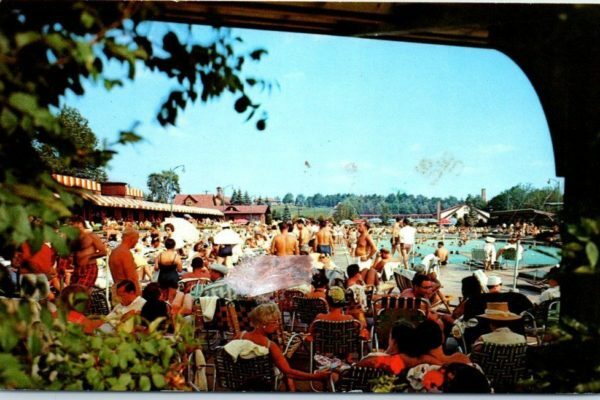 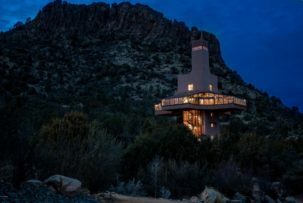 Announcements of redevelopments failed one after another and the false promise of new investors began to sound like a broken record player (perhaps playing an Elvis song), as the grounds continued to deteriorate and fall victim to vandalism and theft. 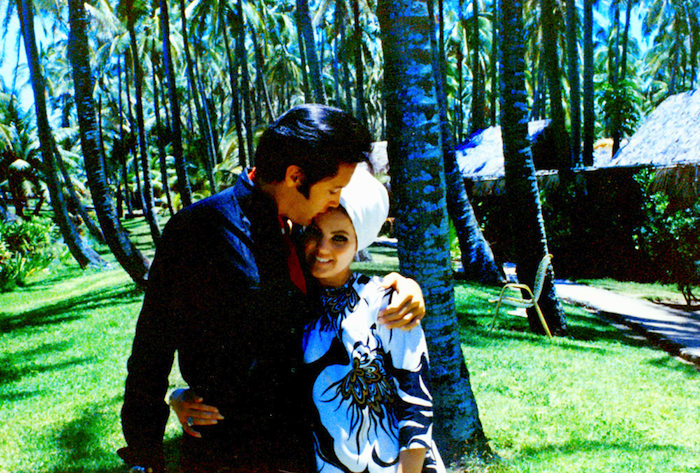 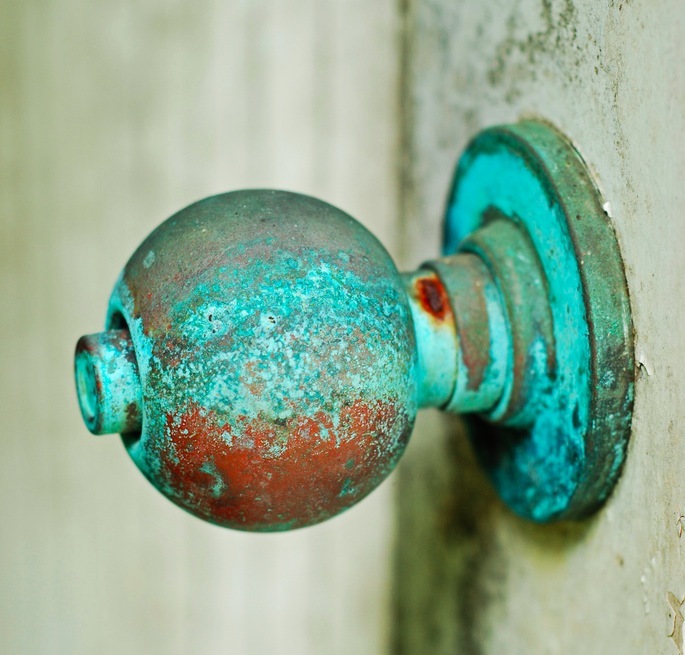 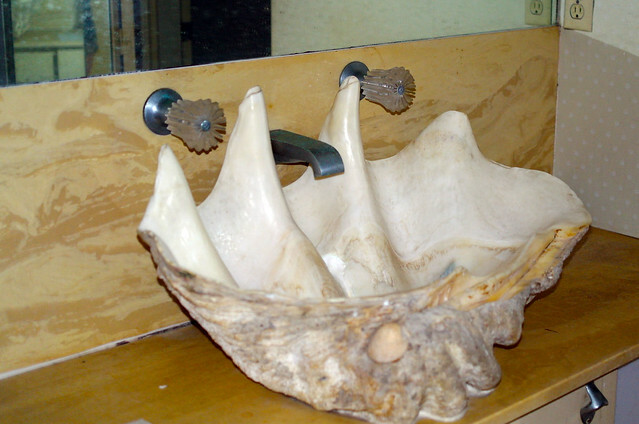 Elvis’ cottage number 56 was regularly raided. 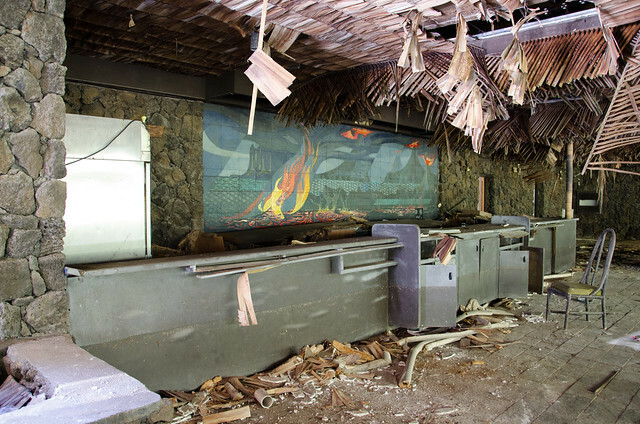 Above: What’s left of the bar (c) M Seyler; Below: the old tropical cocktail menu. 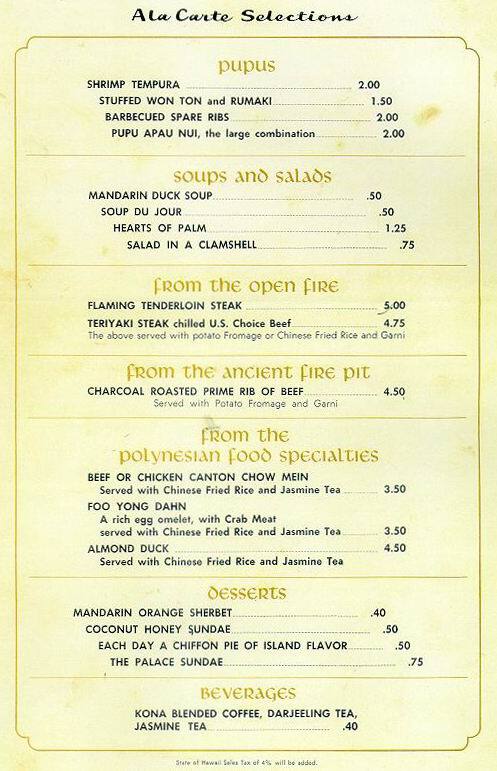 Above: Buffet/ chef’s area of the dining room (c) J Boldman ; Below: the luncheon menu circa 1960. 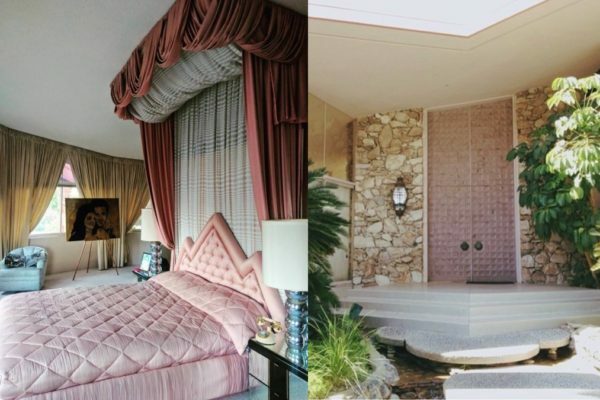 Above: Elvis and Priscilla at the Coco Palms dining room; Below: The dinner menu circa 1960 that they likely would have been ordering from. 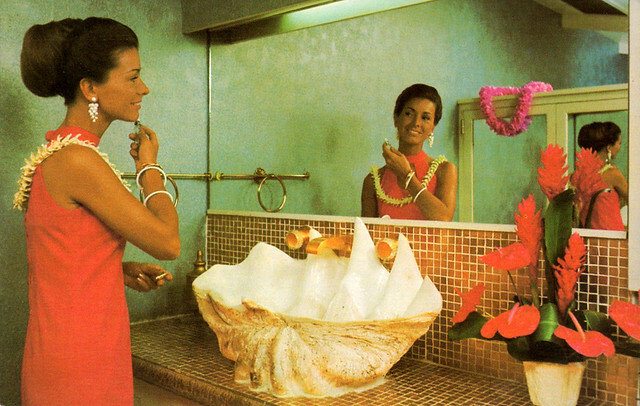 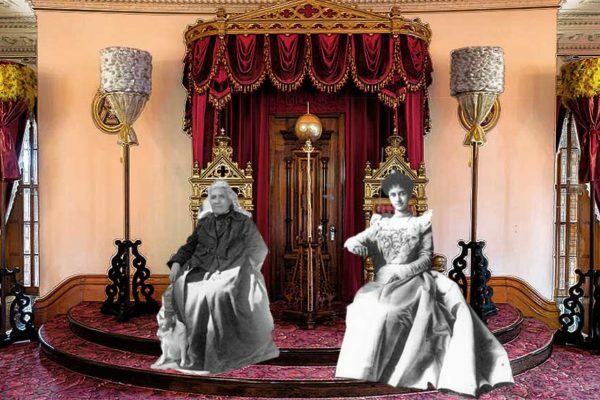 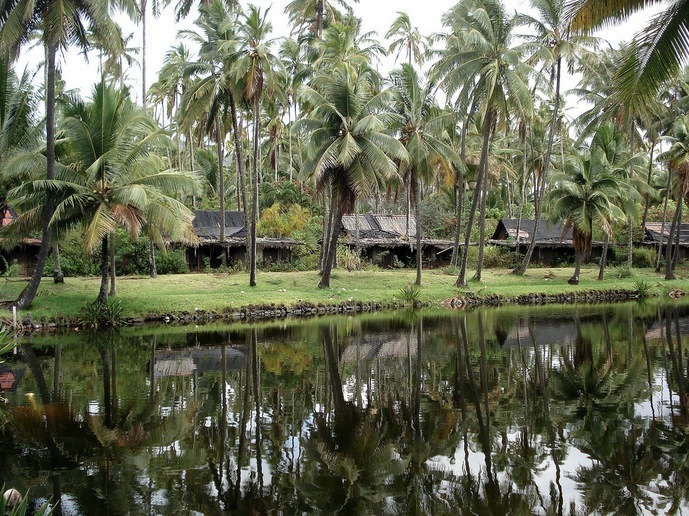 Until now, much of the proposed and failed redevelopment plans have been rather ambitious investments that involved massive renovations and the installation of extravagant condos, spas and additional facilities on the property which had once been the ancestral home of Kauaʻi’s last reigning queen, Queen Deborah Kapule, until the mid-19th century. 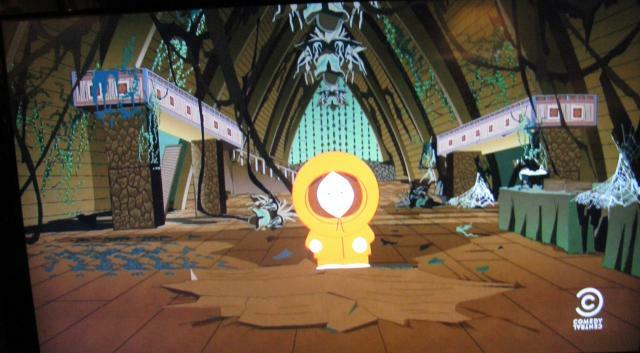 One of the more promising but sadly ineffective redevelopment plans was supported by none other than South Park creator Trey Parker, whose parents had honeymooned at the resort. 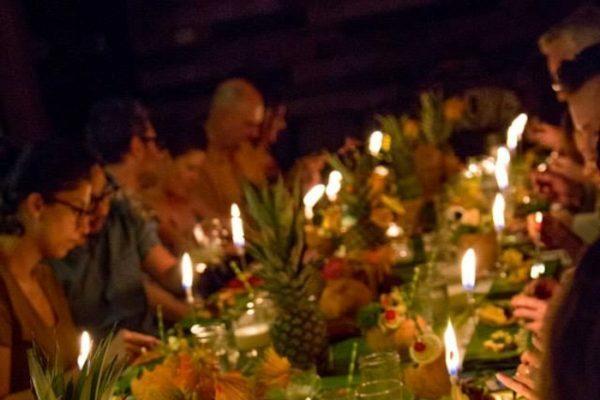 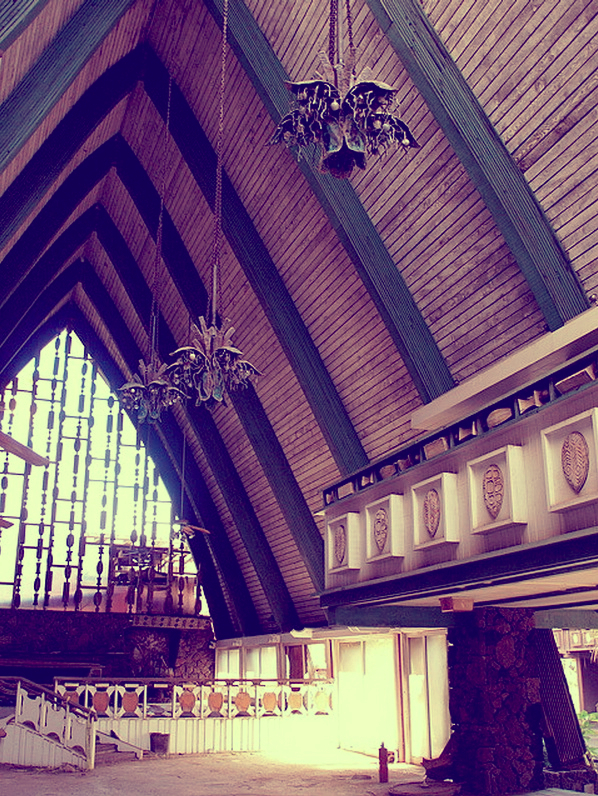 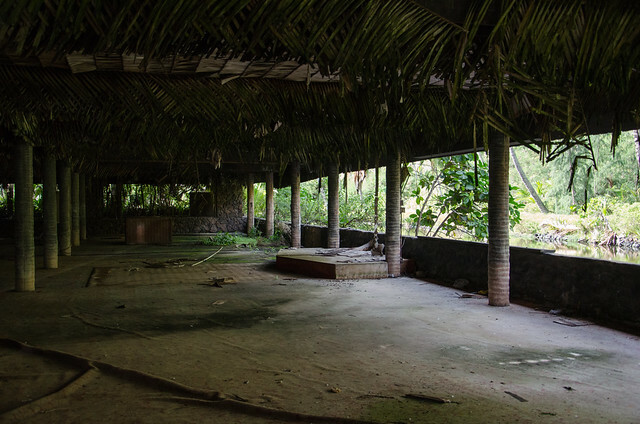 A part-time resident of the island, Parker gave a substantial donation to the group Friends of Coco Palms, which intended to preserve and respect the cultural heritage in their efforts to revive the iconic hotel. 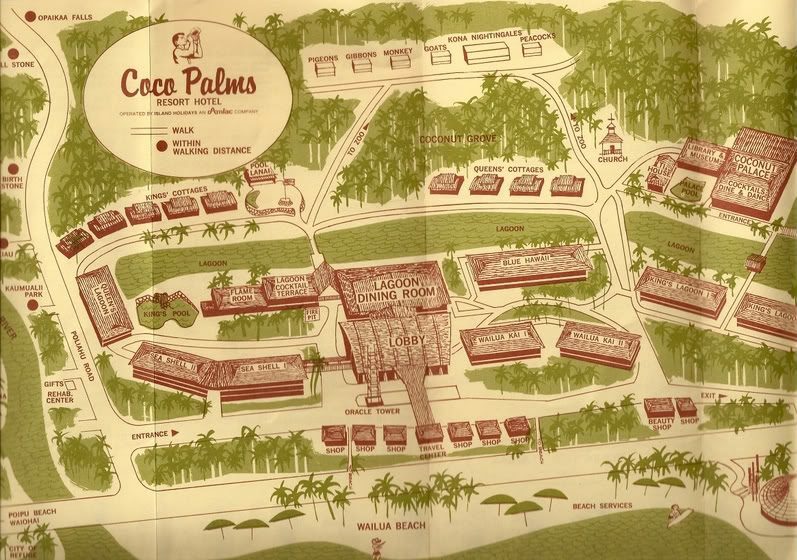 While the future of Coco Palms resort is still very uncertain, new permits are being sought out by a Honolulu-based group, Coco Palms Hui LLC, which has already taken steps to clear the debree from the property, some twenty years after Iniki. 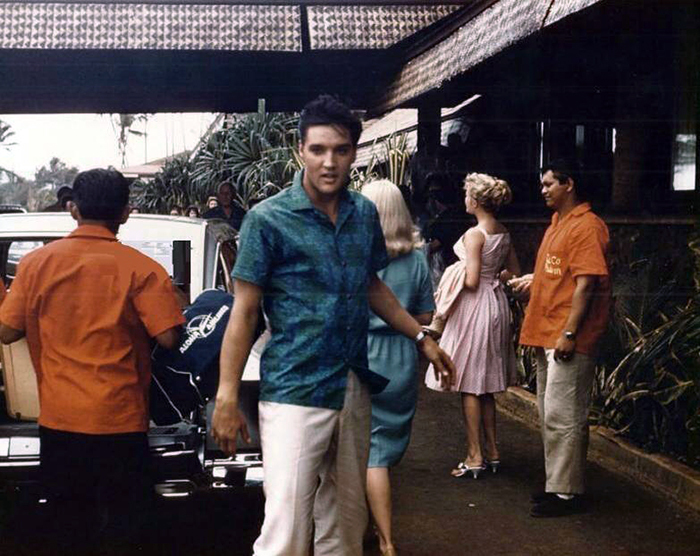 Although progress is slow, the developer intends to keep the spirit of the Coco Palms Elvis days by keeping costly modifications to a minimum. 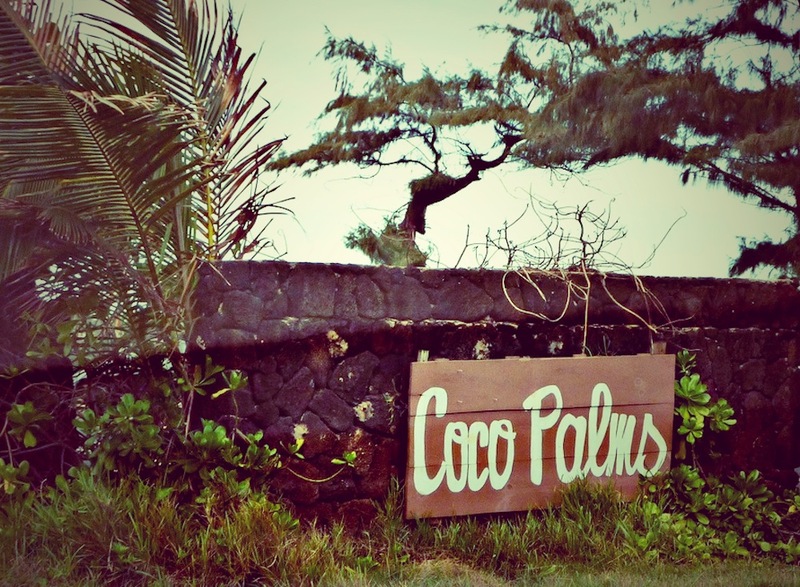 Save the Coco Palms in Kauai Facebook page / More images from a visit to the resort in 2013 / Website for tours of the historic Coco Palms / Website with updates, photos and memorabilia.